Circa 1968 8×10 glossy, I think printed signature. 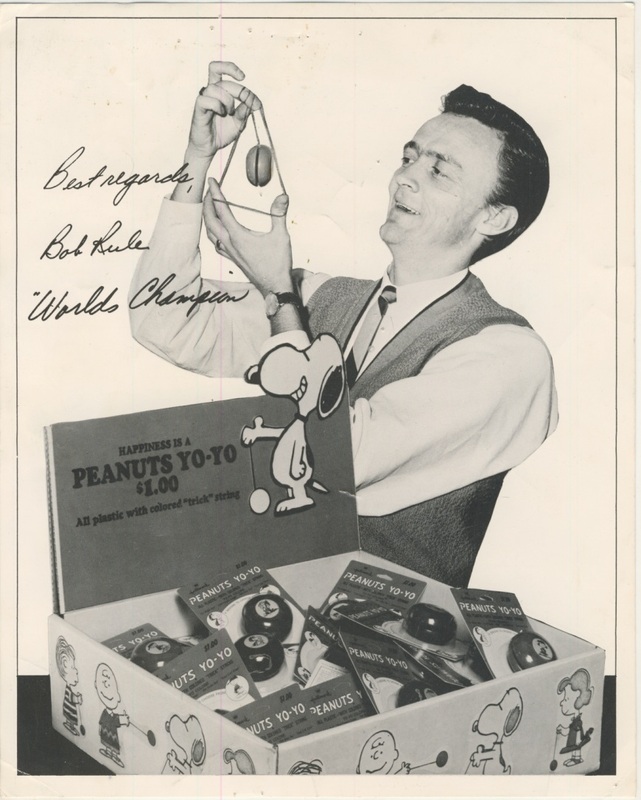 Shows Bob with a Snoopy & Peanuts display bin of yo-yo’s in bubble packaging. On the reverse are trick instructions. 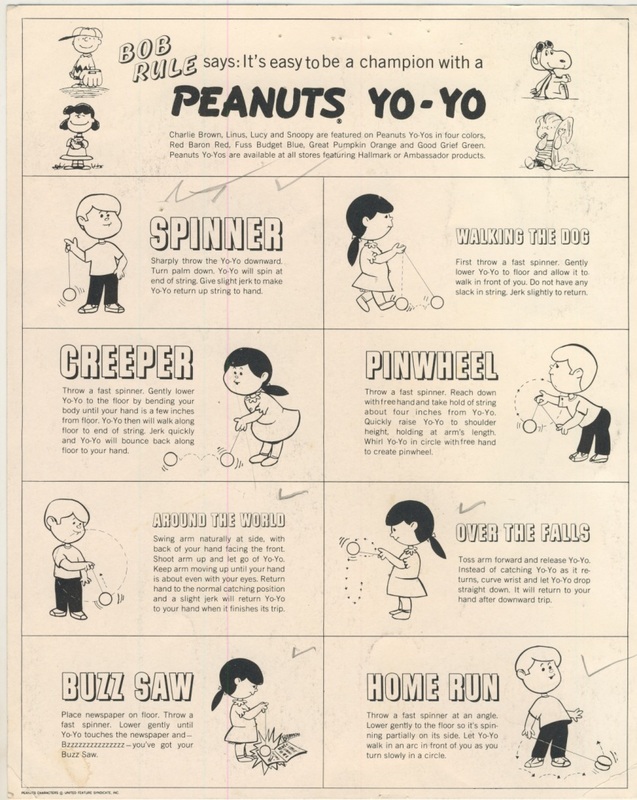 I’m guessing Bob made promotional sales in-store appearances, and gave these out at the time. Good condition; has several small pin-holes, mostly near the top; and some pencil check-marks on the back.